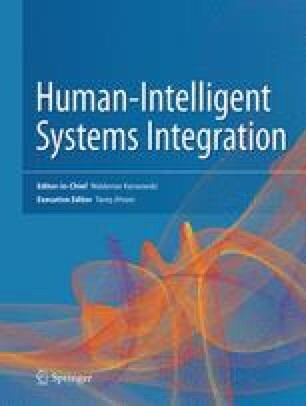 It is our distinct pleasure to welcome you to the inaugural issue of the Human-Intelligent Systems Integration journal. This journal is a peer-reviewed, broad-scope journal that focuses on research aimed at merging and integrating the engineering perspective with the human dimensions of artificial intelligence (AI) technologies, and their applications across various domains of human activity such as in industry, business, government, education, and everyday life activities. We welcome original articles on research and development efforts, covering various aspects of the process of integrating people and intelligent engineered systems. We strongly encourage the submission of papers merging multidisciplinary perspectives, such as from researchers and practitioners alike. We also look forward to receiving papers on novel methodologies, design tools, and solutions that advance our understanding of the nature of human collaboration with intelligent technologies and artificial cognitive systems. The three papers published in this premier issue exemplify the interdisciplinary focus of the journal as they address a broad scope of human-intelligent systems interactions in different application areas. The first paper, authored by Prasanna Illankoon, Phillip Tretten, and Uday Kumar from the Luleå University of Technology (Sweden), discusses the concept of modeling human cognition of abnormal intelligent systems behavior. The authors propose a theoretical approach to understanding human cognition when humans respond to machine behaviors, and highlight important implications for human-intelligent system collaboration. The second paper, authored by Daniela Schmid from the German Aerospace Center (DLR) and Neville Stanton from the University of Southampton (United Kingdom), outlines an application of a system-theoretical approach to modeling pilot incapacitation and homicide-suicide in future airliners with reduced crew operations (RCO). The paper also introduces an operational design concept for RCO with ground support and automation tools for monitoring the pilot’s health and management of aircraft systems. The third paper, authored by an interdisciplinary team of researchers that includes Celeste Branstrom, Jangwoon Park, and Byung-Cheol Lee (Texas A&M University, USA), Heejin Jeong (University of Michigan, USA), and Jaehyun Park (Incheon National University, Republic of South Korea), discusses the relationships between electrodermal signals and stress levels in the case of automated technology failure, and provides empirical data that can be used for designing a fail-safe feature of automation that considers the user’s anxiety level. We hope that you will find the papers interesting and relevant to your work. We look forward to receiving your own original (both theoretical and applied) research paper, review, case studies, and commentaries, as well as proposals for future thematic issues of the journal. We also welcome your ideas and expression of interests to serve as a reviewer and a future member of the editorial board. Please do not hesitate to contact us with your suggestions and comments. Let us together promote the design, implementation, and management of the future generations of human-centered AI-based systems, products, services, and environments that will be able to serve people and facilitate sustainable socioeconomic developments around the globe. Finally, we would like to express our appreciation to all the authors who contributed their papers for this inaugural issue, the reviewers, and you, the readers, for your support. We look forward to hearing from you in the near future.